Happy March is Red Cross Month! 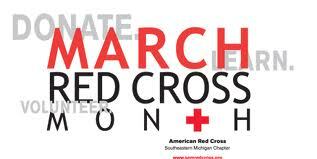 Every year the President of the United States officially proclaims March as American Red Cross Month. Read more about the history of the Presidential Proclamation here, and stay tuned for a second "March is Red Cross" themed post next week!